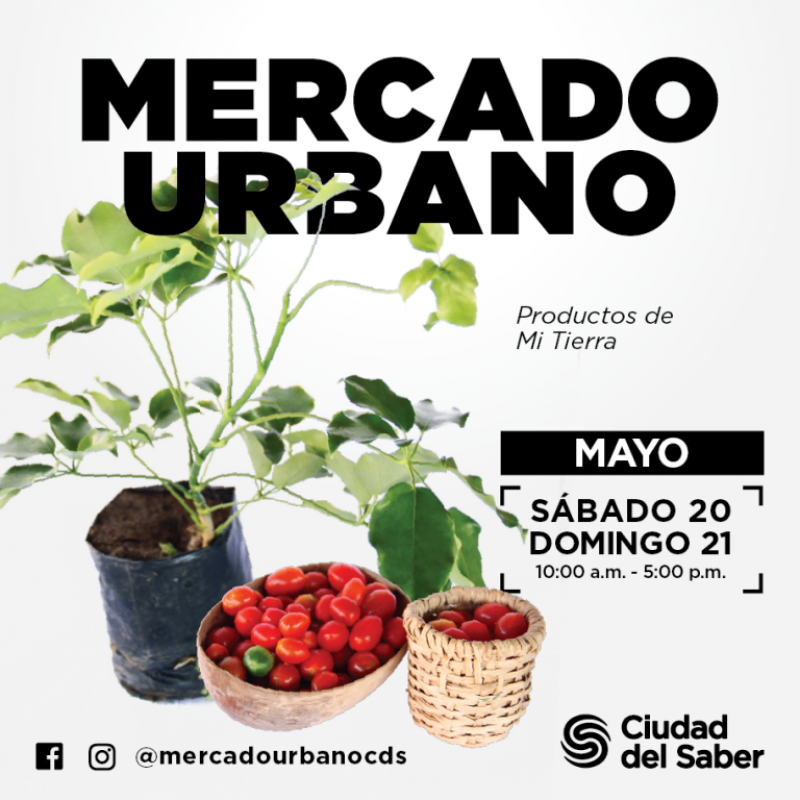 In order to promote sustainable agriculture and artisan production, as well as creating new spaces for people to meet and interact, the City of Knowledge Foundation (Fundación Ciudad del Saber) is holding a new edition of Urban Market, or Mercado Urbano (MU) in Spanish. Urban Market facilities trade between the community and organic producers. This market, located next to La Plaza in the City of Knowledge, will include handicrafts, agrochemical-free products and ornamental plants from the nursery of the City of Knowledge Foundation. The Urban Market stalls will offer vegetables, fruits, free range eggs, unprocessed honey, handmade foodstuffs, cosmetics made from natural ingredients and more. Refreshments and food will be sold as well.